Made with almonds without soya. Rich blend of real cocoa and roasted Mediterranean almonds. Source of vitamin E, which is an antioxidant. Low in saturated fat. Source of calcium and vitamin B2, B12, D. Full of plant goodness. Free from lactose and dairy free. Free from animal fats. Free from artificial colours, flavours and preservatives. 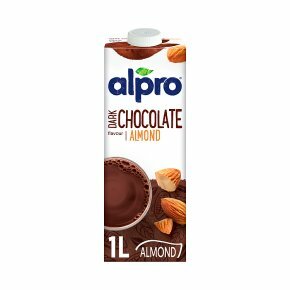 Suitable for vegans.The rich taste of dark chocolate from real cocoa blended with our roasted Mediterranean almonds to create an intensely delicious almond drink that's low in saturated fat! Source of vitamin E, which is an antioxidant* *Vitamin E contributes to the protection of cells from oxidative stress.